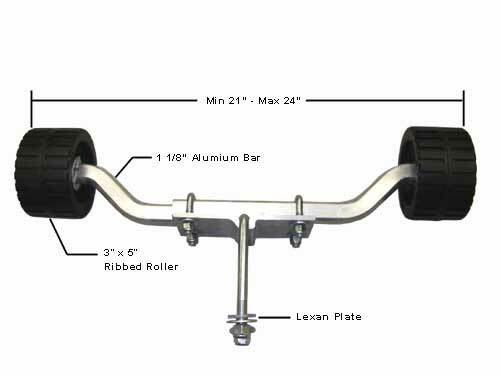 Designed with lightweight 1 1/8" Aluminum bar and pivot plate. 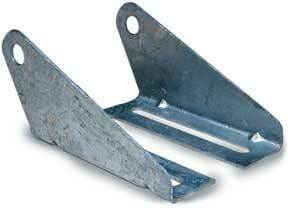 Bolster bracket and angle bracket assembly designed to support horizontal 2" x 6" bolster or bunk boards. Slotted for vertical adjustment to properly support stepped down boat hulls. Non-slip notches prevent movement of horizontal boards whole increasing load capacity. 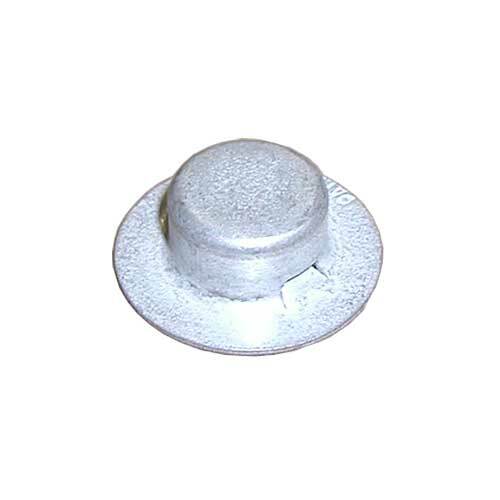 Made of 11 gauge zinc plated steel (7/16" diameter bolt and nut is not included). 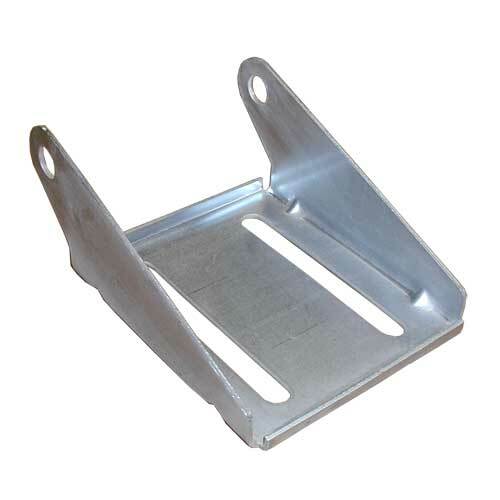 Brackets are one piece, heavy duty zinc-plated 11 gauge steel, specifically designed to support keel rollers. Slot accept 7/16" or 1/2" diameter bolts and provide vertical roller adjustment. 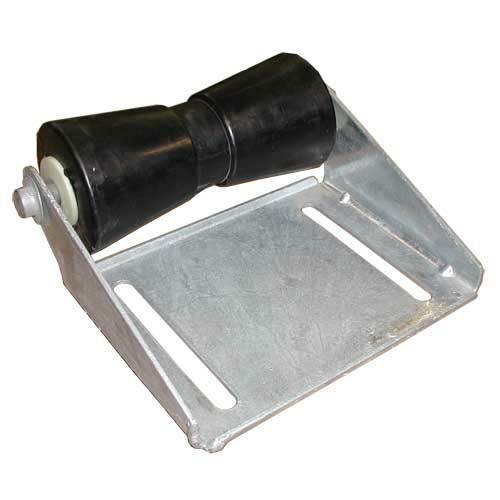 Non-slip notches hold bracket and roller securely in place. For 1/2" or 5/8" diameter roller shafts. Manufactured in pairs (right and left) to accommodate any size roller length. Slot allows vertical adjustment for stabilizing boat on trailer. Made of 11 gauge steel and zinc-plated. Slots accept 7/16" or 1/2" diameter bolt. Use 1/2" or 5/8" diameter roller shaft. Slotted to easily mount 2 x 4's for boat hull height adjustment. 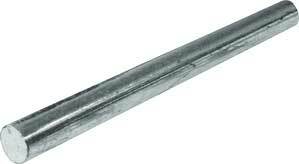 Slot accepts 7/16" diameter bolt. 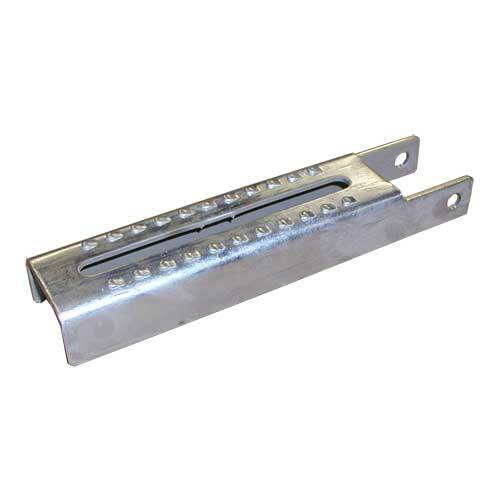 Made of 11 gauge steel and zinc-plated for long life. Available in two sizes. 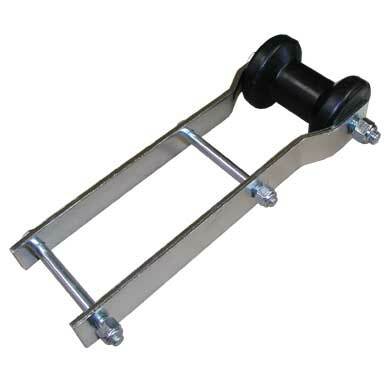 Adjustable offset brackets mount on tongue to hold roller for keel support. Made of heavy 3/16" x 1 1/2" bar stock. Offset is 1". Length is 11 1/2". Mount with 3/8" diameter bolts. Use 1/2" or 5/8" diameter shaft for roller. Pal Nuts: Attach to end of shaft to retain roller within bracket.